Konstantin G. Korotkov. 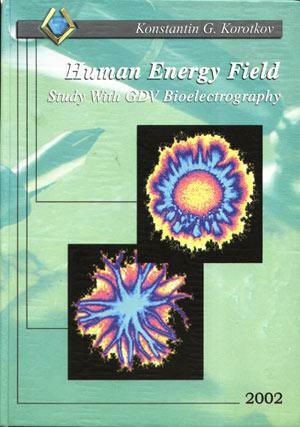 Human Energy Field. Whether the reader is a physicist, poet or philosopher, this technique offers an entirely new understanding of the world in which we live. Each encounter simply confirms the wisdom contained in all the holy books of every religion. We are all one. We are all connected. We are the interrelation of Matter, Information and Spirit. 2002, Backbone Publishing Company, NJ, USA. 360 pp.